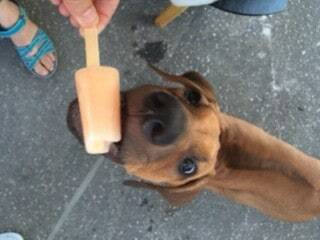 We first discovered Augie’s Ice Pops at Sorauren Farmers’ Markets. Now we see them everywhere and recently bumped into owner Janet Dimond at the Drake General Store, the newest place where you can find her handmade pops. 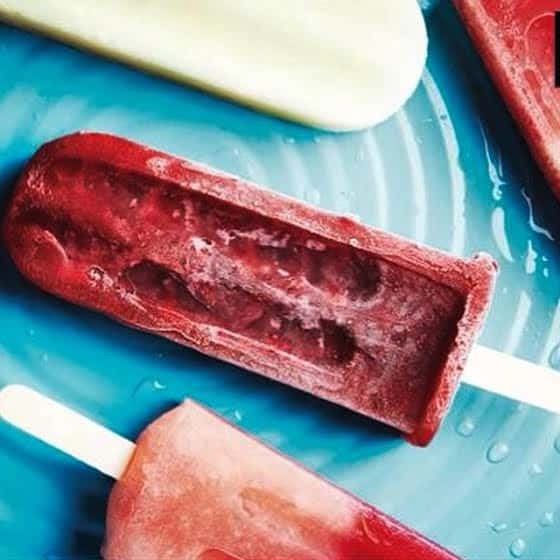 Packed full of seasonal fruit, these juicy cold popsicles are the most refreshing treat for the hottest days. Dripping with nutritional goodness, they are also the summertime dessert we happily feed to our little ones. 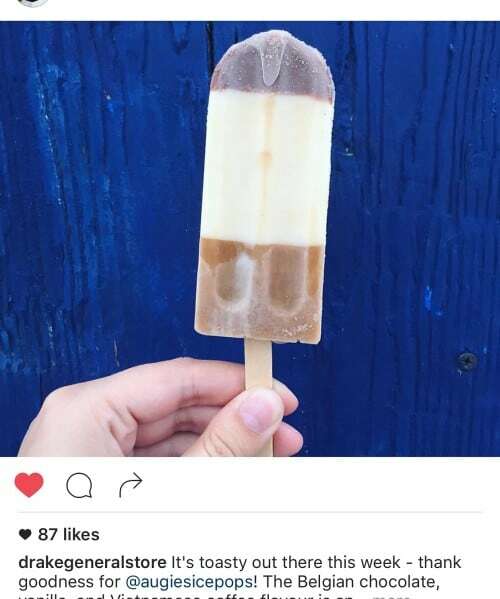 How did Augie’s Ice Pops start? Was there a particular moment on a hot day, or was it gradual? Augie’s was a brainstorm as the result of a career crisis and desperation for work. I had been consulting with an American firm on a fresh food concept for a major grocery store chain, when the contract ended abruptly and I wasn’t sure which direction to go. Before that I had been in the restaurant business for years. After much soul searching, and really trying to nail down that idea of “following my bliss,” I decided to make a few hundred gourmet popsicles and sell them at corner of my street on the May long weekend in 2011. I invited a few friends on Facebook and it was a roaring success – people happily wondering where to find them in stores etc. Everyone loves popsicles! What were the greatest lessons you learned about food before starting your company? 1) Let the main ingredient shine (local, fresh, best quality – we don’t always use local, but incredible flavour is always my number one goal). 2) Classic is classic for a reason. You don’t need to reinvent the wheel – just make something the very best you can and put your heart into it. I often look to classic desserts and pairings for inspiration in our flavour creations. What flavours are your top sellers? What have you been experimenting with lately? A current fave is Belgian chocolate with vanilla cream and Vietnamese coffee. 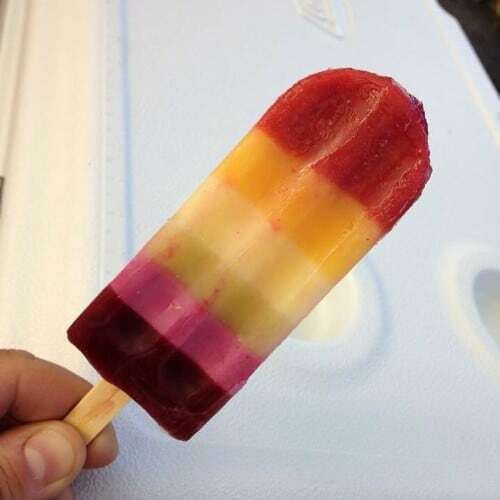 Top sellers are usually anything with raspberry in it (we do raspberry mango lime and a peach melba when peaches are in season), our three-layered pops are a huge hit too. It’s that idea that you start eating with your eyes. You can also have fun with the flavours combining one at a time as you eat down the popsicle. What about Augie’s Ice Pops brings you joy? One is at the farmers markets when kids come to buy popsicles – often they do a dance I call “the popsicle dance.” It is pure joy. 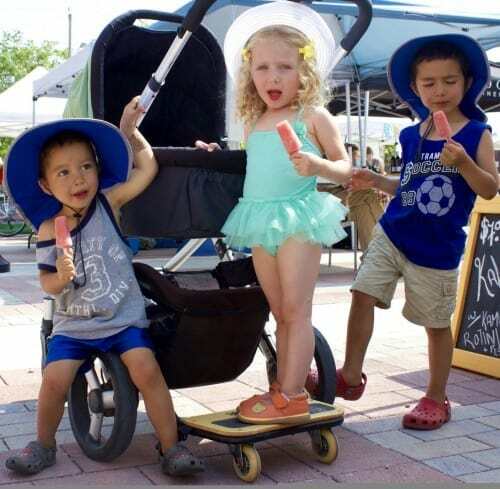 We make sugar-free popsicles as well, so parents will give their babies their very first popsicle at the booth. Everything stops in that moment just to watch the baby taste their first popsicle. It’s a real treat for me. Also, I love when dogs come to the table and their owners give them a lick. You know they just want to eat the whole thing but they lick it just like we do. What are three lessons you’ve learned since starting your own venture? Be they to do with quirky logistics or bigger life lessons? 3) You absolutely have to take time for yourself. For the first three years I went at it really hard and did everything that crossed my path. In the winter I had a soup business. I was hustling so very hard. I got burnt out and depressed. I have learned that hiring qualified people and paying them decently is a huge step in growing your business. I have been very lucky with the people I employ. I found some awesome food folks and other really qualified people (some in job transition) who want to make popsicles over the summer. I currently have two chefs in the kitchen, an artist/entrepreneur, a Japanese woman on a working holiday Visa, a university student and a young professional who has three jobs. I guess you could say I still take smallish steps, but I haven’t stopped moving.